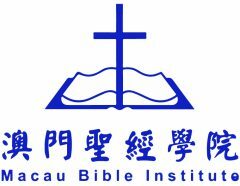 In order to encourage Christians to be systematically equipped for Christian life and ministries, MBI offers the Certificate in Biblical Overview with the intention of strengthening the students’ ability to understand the Bible, so that they may walk with God in their daily lives and service in the church. It is a one-year program consisting of thirty times of classroom teaching and activities. Basically, the program is an introduction of hermeneutics, of how to read and interpret the Bible, followed by a survey of the Old Testament and the New Testament, covering all the sixty-six books of the Bible. It is suitable for those who want to have a basic and yet wholesome understanding of the Bible or who prefer to study the Bible in an English seminary curriculum. Theological education is not only for knowledge and information, but also for life development of the students. In addition to the classroom hours, this program also has group activities to be led by the instructors, so that students and teachers may build up relationships of spiritual growth. *Note: Financial assistance is available and will be considered individually for those with certain financial difficulties.